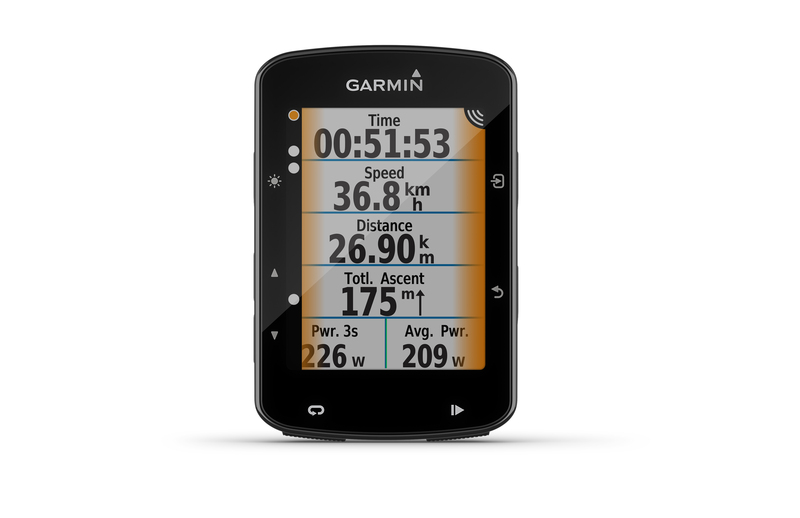 Garmin® Introduces The Edge® 520 Plus – A GPS Cycling Computer With Advanced Navigation And Connected Features | JustRunLah! SINGAPORE, September 14, 2018 – Garmin Singapore, today announced the Edge 520 Plus, a GPS bike computer featuring advanced navigation, performance monitoring capabilities and connected features that are built for use both on or off the road. Whether hitting the trails or streets, cyclists will benefit from the preloaded Garmin Cycle Maps that feature turn-by-turn directions for all terrains, and alerts to sharp curves ahead. 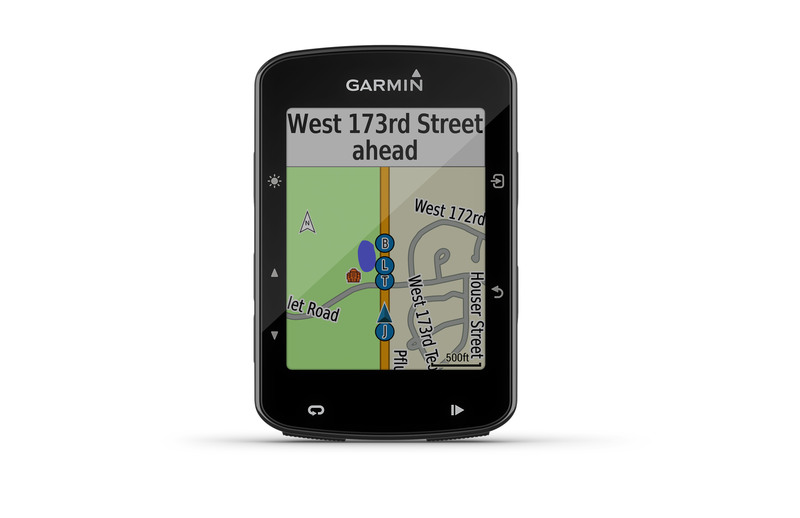 Preloaded on the Edge 520 Plus, the Garmin Cycle Map includes turn-by-turn navigation and new alerts that notify riders of sharp curves ahead. 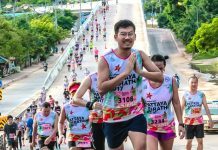 It will even guide cyclists back to the route – or back to start – if they stray away or decide to head home early. Before heading out, riders can plan and download their routes on the improved and revamped Course Creator in Garmin Connect™, which uses Trendline™ popularity routing to provide riders with the best road, mountain or gravel routes that are aggregated from those most traveled by fellow cyclists. While out for a ride, the Edge 520 Plus gives cyclists the freedom to put their phone away and still feel connected. 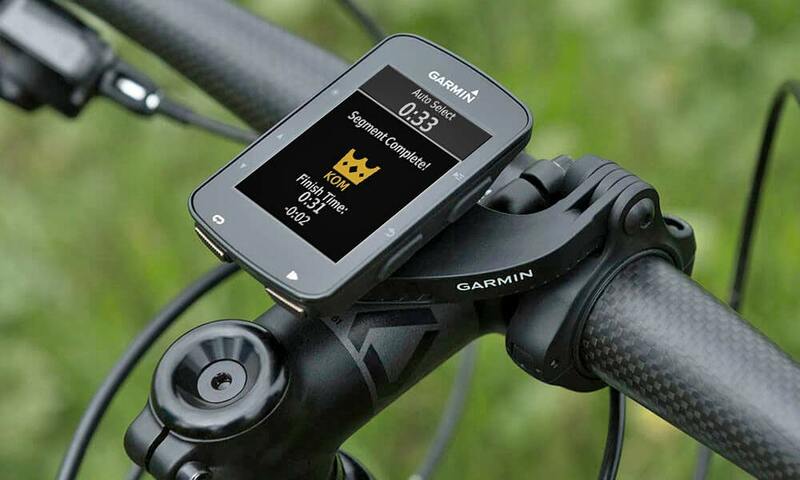 Rider-to-rider messaging lets cyclists send prewritten messages directly from their Edge 520 Plus to other riders using a compatible device. Built-in Incident Detection will automatically send a cyclist’s location to emergency contacts if they run into trouble while GroupTrack and LiveTrack let friends, family and other cyclists keep track of a rider’s location in real time. Compatible with the Varia™ line of cycling awareness devices, including the new RTL510 rearview radar and UT800 smart headlight, the Edge 520 Plus helps to create a safer riding environment by alerting cyclists to approaching cars right on the display. For riders looking for advanced performance monitoring features, the Edge 520 Plus is compatible with ANT+® sensors including speed, cadence and heart rate – as well as ANT+ power meters like the Vector™ 3 to track functional threshold power (FTP) and cycling dynamics. While using a heart rate strap, cyclists can see even more physiological data, including VO2 max and recovery time to help users keep track of how their body is performing from ride to ride. Mountain bike enthusiasts can connect the Edge remote control with their Edge 520 Plus to easily start and stop the timer, change the page or mark a lap without taking their hands off the bars. The Edge 520 Plus comes with the latest version of Strava Live Segments, providing cyclists with even more competition and segments. Cyclists can star their favourite Strava segments, and while riding, will receive an upcoming segment alert as they approach a start. Riders will then receive second-by-second, real-time comparisons of their performance against their most relevant competitor and will race against their actual speeds – not just their average. Preloaded with the Strava Routes Connect IQ app, starred routes can now be wirelessly synced to the Edge 520 Plus so cyclists can navigate and compete on their favorite Strava segments at the same time. For cyclists interested in hitting the trails, the Trailforks app, which can be downloaded from the Connect IQTM store, lets users send selected routes to their device and head out for a ride. Featuring trails from more than 80 countries, Trailforks can also use a cyclist’s riding preferences to recommend nearby routes. 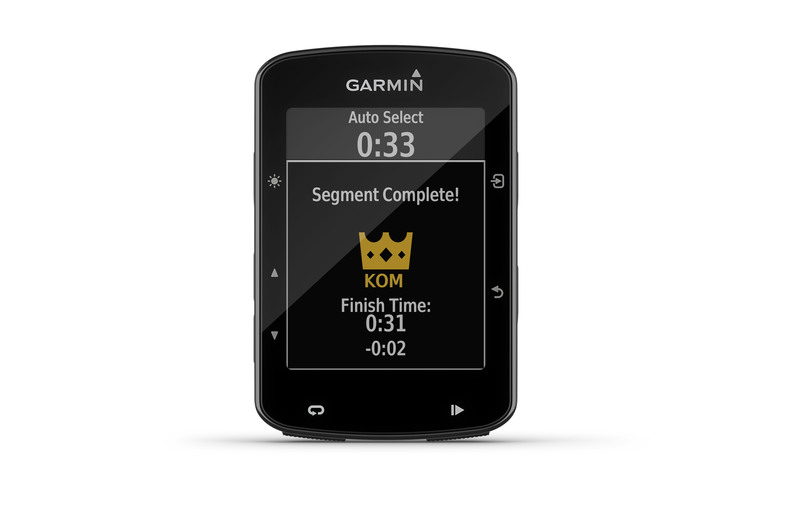 Using the Best Bike Split Race Sync app installed on the Edge 520 Plus means cyclists will have all their current race plans available at their fingertips. Best Bike Split allows riders to see how changes in weight, power and drag affect their goal race time, while helping to create the perfect power plan for race day. Installed on the Edge 520 Plus, the TrainingPeaks Connect IQ app puts daily workouts right on the device. It guides cyclists through a workout in real time – complete with intensity targets and interval durations. After a workout, syncing to TrainingPeaks will provide cyclists with a detailed analysis of their ride, as well as the ability to measure progress toward their goals. Featuring up to 15 hours of battery life, the Edge 520 Plus,is available on retail in Singapore from September 2018 and has a suggested retail price of S$409 at the following retailers: 1 2 Cycle, Bike n Bites, Bru 2, Fab’s Cycle, Feder Sports, Hup Leong. Integrated Riding, Rodalink, Tay Junction, Treknology Bikes, VeloVelo, Wheeler’s Yard, Perfect Watch, Parisilk, Takashimaya, Advance Lap and Fahrenheit Performance. The Edge 520 Plus is the latest innovation from the ever-expanding Garmin fitness segment that develops technologies to enhance and promote healthy and active lifestyles. Whether users are runners, cyclists, swimmers, multi-sport athletes, or simply looking to stay active throughout the day, there is a product that can help them reach their health and fitness goals. For decades, Garmin has pioneered new GPS navigation and wireless devices and applications that are designed for people who live an active lifestyle. Garmin serves five primary business units, including automotive, aviation, fitness, marine, and outdoor recreation. For more information, visit Garmin’s virtual pressroom at garmin.com.sg/news/pressroom, or follow us on facebook.com/garminSG, Instagram.com/garminSG or Youtube.com/GarminSG.